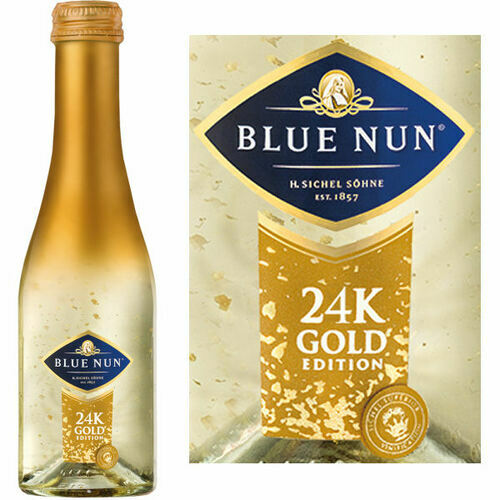 Blue Nun 24K GOLD EDITION is a delicious sparkling wine which is light and elegant with a touch of delicious fruitiness. It achieves its effervescence through a centuries old fermentation process and to highlight the natural bubbles we add genuine approved real 24K gold flakes. 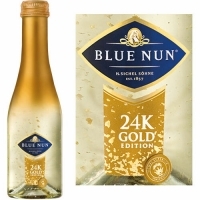 The 24K Gold Edition is a great aperitif or accompaniment to light meals and hors d'oeuvres. It is the perfect sparkling wine for special occasions, celebrations or just for fun!